My name is Julie Hartwig. I was born in Doncaster, UK and emigrated to Australia with my family in 1972. These days, I live with my partner, Jon, in the small coastal fishing township of Tin Can Bay, located near Fraser Island, on Queensland's Cooloola Coast. 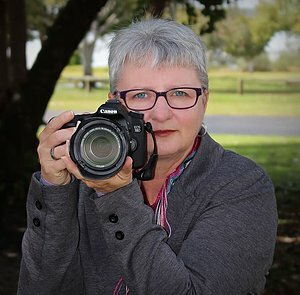 I have had a love of photography for over 30 years and in July 2012, I finally fulfilled a 25-year dream of becoming a freelance photographer. I specialise in photographing yacht racing and other water sports, but also do corporate shoots for PR and advertising., real estate and portraits. I also love photographing landscapes and conduct photography tours to some amazing locations like Norfolk Island and Tasmania - you can visit my landscape photography website here.